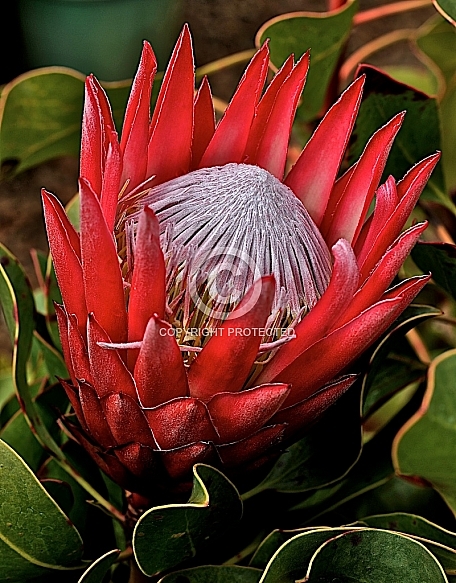 Description: A smaller flowered selection of the king protea with intensely red flower heads. Named for Nelson Mandela (Madiba was his tribal name). It is proving to be a very popular cultivar. See notes under Protea cynaroides for cultural information.